For years football was thought to be a simple issue - a matter of individual duels whose winners would end up deciding the outcome of any given match. That difference could admittedly be suppressed by "wanting it more" than one's opponents or "getting stuck into them". Some years later the sport became the subject matter of theses and studies in universities - and thus rife with analytic, intellectual analyses, much to several coaches' chagrin. It was then that the sport was further dissected and the theory of football's four (tactical) moments first emerged: attacking organisation, transition into defence, defensive organisation and transition into attack (set-pieces would later become some sort of fifth moment to some). Some top-level coaches have been honest enough in sharing their drilling mistakes over the past few years that may have led them to unsatisfactory results. One of the most common faux-pas consisted on working on one specific moment of the game (let's go with attacking organisation, for example, i.e. the time when a team has the ball and the other team is positioned in their preferred defensive positions) and dismissing the fact that football is in itself a fluid entity, where it's often quite hard to tell the four moments apart (is a breakaway a transition into attack or the way a specific team choose to attack?). Overlooking that fact is usually detrimental to teams, because the instant the moment they've been drilled ends, they suddenly find themselves in uncharted territory, unaware of what to do when the next moment presents itself - a reaction that costs precious seconds and could represent the difference between a goal and winning the ball back. Instead of rambling on about theoretical concepts, it might be easier to speak about specific situations. Most of us often see commentators and pundits taking part in some sort of reverse-engineering of results: for instance, Barcelona lost 3-2 against Valencia last Saturday and it would be rather easy to blame the Catalans' defence - after all, they shipped three goals. On the other hand, it might be equally recommended to praise the visitors' counter-attacking capabilities - after all, their finish was so clinical they didn't even need that many opportunities to score the three goals. However, it's probably much better to analyse what gave way to that specific outcome - the process. If we focus on the process(es), it will be much easier to pick up on what could be the team's vulnerabilities, even when they're winning. In Barcelona's case, it wasn't exactly hard to see such an upset coming, and that's where the tactical discussions bears importance. Pep Guardiola's Barcelona created a blueprint for possession-based football that is now being copied all around, including at this beloved former club. However, it is not a particular brand that is easily imitated, because the risk of exposing your back line is extremely high. To be able to implement it successfully, one must think about the game as a whole - what do we do with the ball, where are we willing to give it away, what shall we do when we do give it away? Guardiola used to say he wanted Barcelona to have the ball because they were rubbish at defending. Even though some of it was poetic liberty and an attempt to shed some responsibility off his players' backs, it was mostly true. Only by controlling the match in almost every way were they able to play Mascherano or Adriano or Abidal at centre-back, where their deficiencies were not laid bare. Even though most of the praised lavished on Guardiola's Barcelona focussed on the free-scoring Leo Messi or Xavi and Iniesta's quasi-hypnotic passing, one of the side's most important features was their reaction to when the ball was lost - namely the 5-second rule that demanded the team to immediately close up on the opponent when they lost the ball. More often than not, they got the ball back and went about their business once again. Nowadays, even though Tata Martino tried to adhere to some of his predecessors' guidelines, the side looks completely transformed, even though most of the players are the same. Instead of dictating the play, Barcelona's players assume that tiki-taka will be enough to impose themselves on opponents. The major problem happens because they do not abide by the same canons and therefore are more willing to play into other teams' hands. For instance, they cross a lot more frequently and, when the opposing side wins the aerial duel (as they often do, given Barcelona players' small stature), most of the team is too committed forward and unprepared for what is coming after the aerial duel. Also, without the 5-second rule or some similar mechanism, Barcelona do not force other teams to make mistakes as soon as they win the ball back, which allows them to easily circumvent Xavi - not the quickest player around -, for instance, and exposes the team's centre-backs. Not only are the full-backs usually way high up the pitch, but there does not seem to be too much drilling in defensive even-numbers or numbers-down situation, which only worsens the situation. 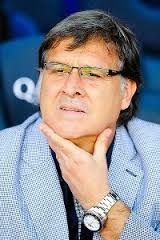 In other words, even though Barcelona surely work on one specific moment of the game - attacking organisation - and may even be quite good at it, Tata Martino seems to be forgetting that the game is a continuum where one's strongest suit could quickly devolve into their own nightmare if they are not willing to work on what comes after it. By attacking on one's own terms, one should be able to control not only how the team goes about scoring goals, but how and where the team gives the ball away - and what ensues when they actually give it away. This information is very helpful for us. Champions League football is favorite for me. Thanks for your kind information.